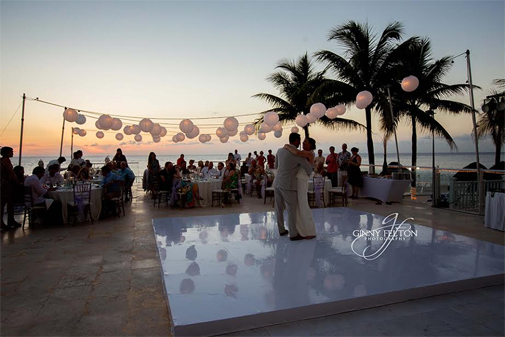 Thompson wedding, Cozumel Palace in June of 2014 - read more in our Destination Weddings Testimonial section. View our Destination Wedding Certifications! Are you from the greater Oklahoma City area and are planning a destination wedding? Being centrally located in the U.S., in Oklahoma City, destination weddings to popular locations such as Cancún & Riviera Maya, Dominican Republic, Jamaica, Los Cabos, Maui and other locations are our specialty! Vincent Vacations can assist with wedding ideas, travel planning, honeymoon packages, finding the best honeymoon destinations, romantic getaways and more. Looking to say I still do? Do you want to elope with your love of 25 years? How about invite all your friends and family and celebrate while all on vacation together? Vincent Vacations is your source for all things Wedding!